Choose vanila forums to bring out all the standout features onto your website and facilitate enhanced user experience on your forums and thereby your website.Choose the services of XHTMLchamps, engage your customers with superior forum experience ! Vanilla allows you to create a customized community that encourages positive participation, curates content and lets members drive the process of moderation. Vanilla forum software offers the right kind of features to create a unique community of users as per your requirements. Vanilla forum software optimizes your forum platform for speed and thus this automatically brings about an increase the interest of members to participate in discussions. All of this begins with conversion of your design from PSD or in any other format to Vanilla before you attempt to create a unique design for your forum page. The process begins with slicing of files in PSD, JPEG or any other format. It requires the services of the right conversion service provider to carry out this process without any change to the original design thus handed in. Your search ends right here with us at XHTMLchamps! Our exposure to all versions of Vanilla, our team at XHTML Champs can offer you all types of solutions right from PSD to Vanilla conversion right up to up-gradation to latest version of Vanilla or even migration to Vanilla from any other CMS. Our strength lies right here with our team, highly qualified and well experienced, most importantly it is the committed attitude towards quality delivery of projects. We offer you search engine friendly web pages such that the traffic to your site increases. Our conversion services come with W3C validated codes which are hand written and concise, thus earning you the right place with search engines. We at XHTML Champs have efficiently handled multiple PSD conversion projects; clients different in terms of their size and requirements. 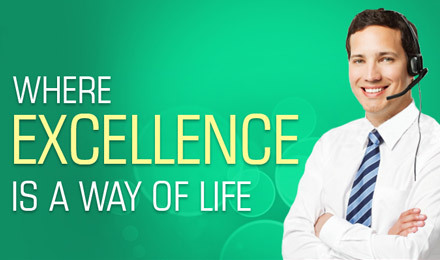 We have created a number of award winning websites with advanced features and functionalities. You may be rest assured on the fact that forums we incorporate in your website will earn you the right of popularity with consumers as well as work on driving traffic to your website. We have set strict quality measures for all processes during conversion and ensure that at each stage there is conformance to the same. We work toward quality in service and customer satisfaction is the sole factor driving our standards in performance. We also work towards delivery of all our projects ahead of time. HostingNeed a proper installation and hosting to enjoy all the features of Vanilla forums. Design and ThemeWhether it is a forum or a website, design matters the most as it creates the first impression in the minds of a visitor. Customization and Integrationcustomization will help you to meet the requirements that arise from time to time. Module DevelopmentExperts at XHTML Champs are capable of developing modules to initiate programs of your choice. Up-gradationUp-gradation from time to time is necessity to attract people who are more tech savvy nowadays. Maintenance & ServiceWe offer professional maintenance and technical support for smooth running of your forum. Bug FixingNot to worry about bugs when XHTML Champs are with you. We take care of all such problems. Search Engine Optimizationwhen you want your forum to be more popular, search engine optimization is most important. Mobile CompatibilityMobile compatibility will increase the popularity of forums as it can be browsed using any devices. Vanilla is an open source community forum that powers discussion forums in more than 6 million sites. Why should I go for Vanilla? It is build for speed and with a cloud based platform that scales to meet the needs of communities of all sizes. Will Vanilla work on mobile devices? Yes it will work on any mobile device using web browser. App download not required. Can Vanilla integrate with any platform? Need a proper installation and hosting to enjoy all the features of Vanilla forums. Whether it is a forum or a website, design matters the most as it creates the first impression in the minds of a visitor. Customization of forums to meet the requirements that arise from time to time and integration of special features will be done with maximum accuracy. Experts at XHTML Champs are capable of developing modules to initiate programs of your choice. No forums can keep its popularity unless upgrade to the latest technology from time to time. Up-gradation from a lower version to a latest one can be done at XHTML Champs. All forums require time to time updation of features and content due to its interactive nature. Users expect forums to evolve with changing trends and hence the need for up gradation. Up-gradations need to happen on a regular basis for obvious reasons, for inclusion of enhanced features and greater website performance. Most importantly the popularity of a forum will largely rely on advanced features offered, reduced instances of bugs and most importantly the overall user experience it offers. Regular maintenance is must for smooth functioning of any websites or forums. XHTML Champs do it with a touch of professionalism. Regular maintenance for websites to consistently perform, such is the case of forums as well. Activities such as having to add new links or remove some existing links due to various reasons may need to be undertaken from time to time. A broken links will also need to be taken care of. Your forum will also need to be updated with data from time to time. With an experience of working with a wide range of websites and forums, XHTML Champs will be in a position to understand the requirements of your forum easily from time to time and can come up with solution accordingly. We offer Vanilla forum maintenance to your total satisfaction. No need to be afraid of bugs when XHTML Champs is around you. We have the experts and the technology to fix the bugs for you. Bugs or malfunctions arise due to deployment of complicated programs which are added to the main program; now these programs are essential as a means to enhance functionality of the website. On the flipside these bugs or malfunctions tend to bring the efficiency of the forum/website and also bring about loss of valuable data. So what do you do? Search Engine Optimization or SEO in short is quite necessary to get your forum noticed. We can help you in this area in more than a way. Search Engine Optimization or SEO in short is essential for your forum to get noticed in the right way. Greater the popularity, greater the traffic driven towards your traffic. When there are a good number of forums, your forum should be search engine optimized to land on top of search results. Our experts direct a lot of efforts in this direction during design and development stage of vanilla forums itself. Hand coding HTML codes also accelerate the loading time of the websites; this also acts a catalyst for search engine optimization too. 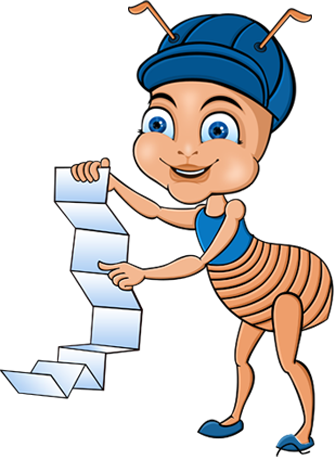 Providing suitable links, optimizing images and using right keywords in Meta tags helps us in optimizing forums better. Mobile compatibility is necessary in today's world where most of the people are using small mobile devices for browsing. Forums demand an active participation of members to render themselves popular and sought after. This fact itself demands the forum should cut across devices and also be multi-browser compatible. In a situation where more people are using small mobile devices for browsing, it should be mobile compatible. Along with theme compatibility, it should also be easy to navigate through websites in any device without any compromise on user experience. The experts at XHTML Champs can offer you the best of services in making Vanilla mobile compatible. While we offer the original quality of the design in any device, we also ensure that there is no compromise on navigation or user compromise.